2.4 mi. | 600′ ele. gain | 1 hr. Taking advantage of a gloriously sunny fall day, I blasted out two hikes: Iron Mountain and Echo Basin. Iron Mountain is by far the better known of these trails, so I’ll turn my attention to Echo Basin. This experience came as a delightful surprise to round out the day. I arrived at the trailhead, located a couple miles off highway 20, at about 2:45 pm. The sign said “Echo Mountain Old Growth Trail.” Sullivan’s book mentioned Alaska Yellow Cedar growing here. I’d keep my eyes peeled for unfamiliar, cedary trees. Five minutes into the hike I noticed something that would soon dominate the hike: fungus. I stopped to peer down at this wrinkly, strange, black growth. A popcorn-shaped mass sat atop of short stalk. I hadn’t seen anything like it before. I carried on. Another few minutes pass. 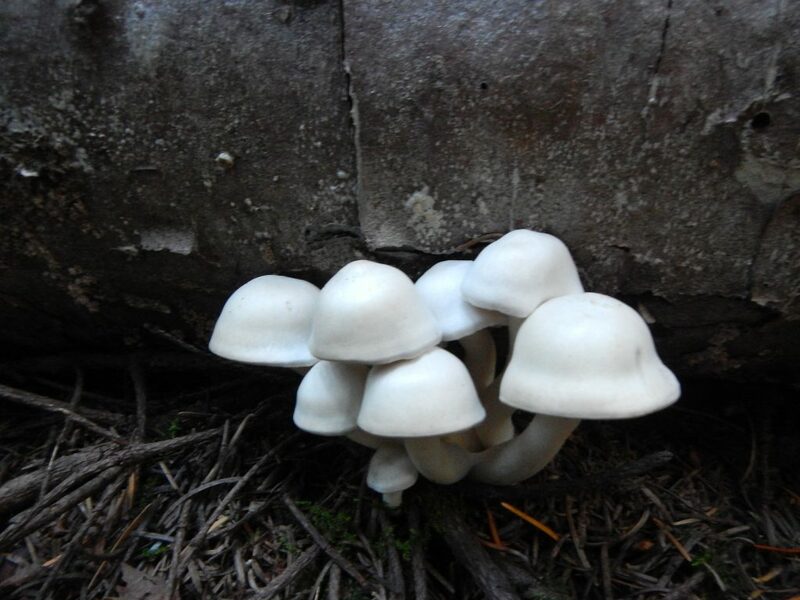 I walk through a grove of young trees with masses of white mushrooms sprouting everywhere. I keep going. The path leads into a meadow. 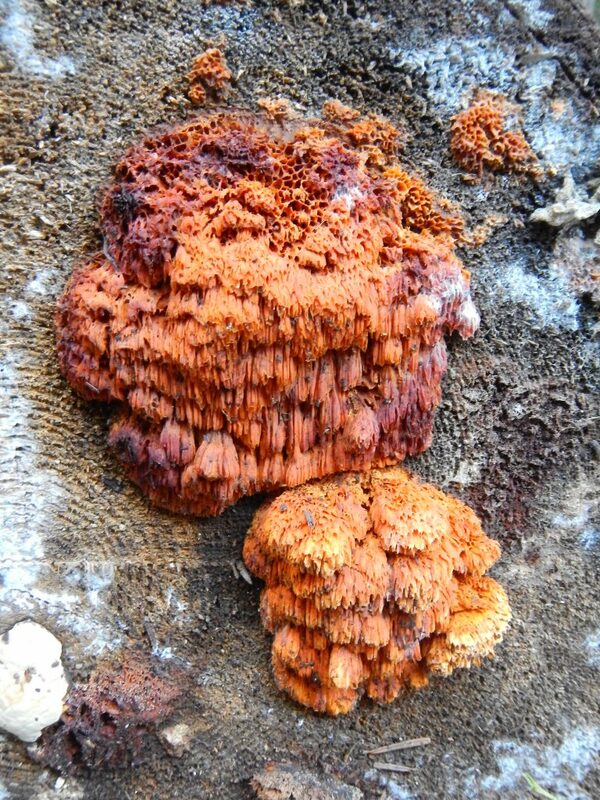 More fungus, this time of the bright orange variety. Then, I find the huge trees. Sure, they looked like cedar. I bet they’re from Alaska. Big guys; everything’s bigger in Alaska. The view from within the basin was incredible. Tall slopes dotted with evergreens and tall grasses rose up in nearly every direction. The shadows were long and deep down here. 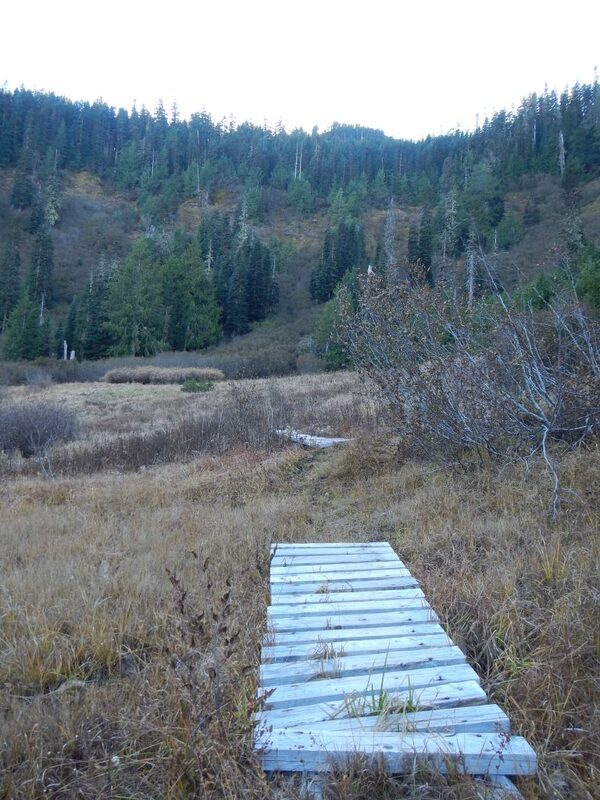 Short sections of boardwalk led across the open meadow. It must get mucky here in the spring. Today the ground was pretty dry. It was much prettier than the pictures show. The trail looped back to the start and I followed the path to my car. What a delightful little hike I discovered! 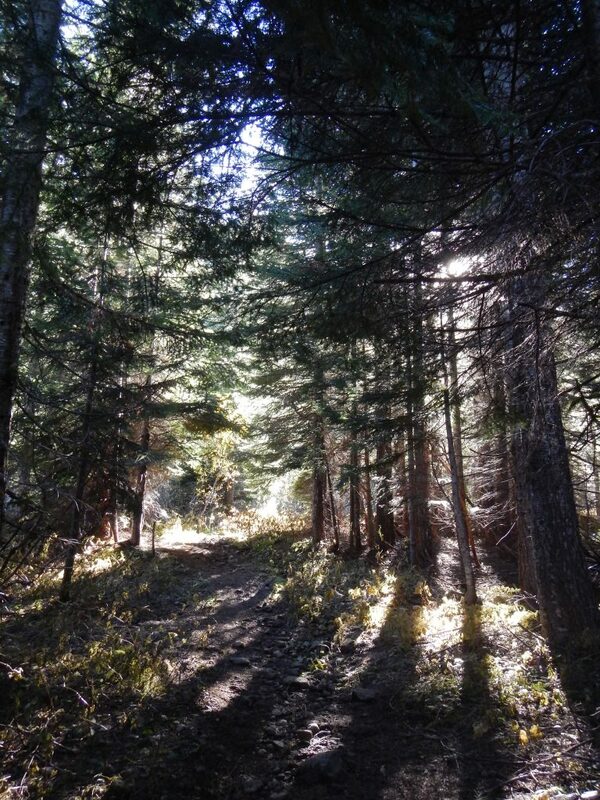 This entry was posted in Hiking, Oregon and tagged hike366 on October 25, 2013 by Jess B.